Our product range includes a wide range of pest o flash insect/mosquito killer (pci), pest o flash insect killed (pci), spider glue pad flying insect/ mosquito killer (pci), mos-clean mosquito trap (pci) and atrapafly insect/mosquito killer glue pad (pci). Area Covered 500 Sq. Ft.
Area Covered 800 Sq. Ft.
Area Covered 700 Sq. 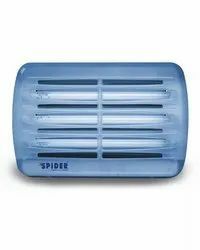 Ft.
Spider - Electric Flying Insect Catcher are all completely safe, hygenic and economical and are built and approved to the highest international standards. We employ no harmful chemicals or pesticides, just applied scientific design into the use of shape and colour to out-perform even their nearest rivals. Presented in India by PCI eight years ago, SPIDER® has become an industry standard in the product category. · Unique translucent cover to maximise attraction for flying insects. · Designed and patented by Brandenburg UK Ltd.
Area Covered 1000 Sq. Ft.
· It is a new innovative high performance mosquito trap which uses UV light source and Carbon dioxide to attract, trap and kill adult mosquitoes. 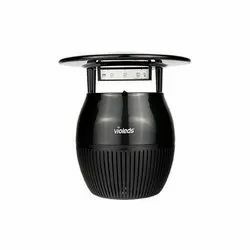 · Violed technology uses UV LED for highest optical output to attract mosquitoes over large area. Area Covered 300 Sq. Ft. 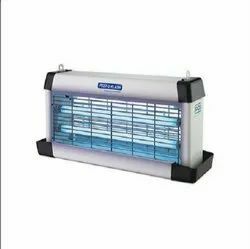 Looking for PCI Insect Killer Machine ?